Would you like to see more dads attend and complete your fatherhood program? Court referrals are a great way to accomplish that objective. Judges can provide the additional motivation for dads to not only attend fatherhood programs, but complete them. If a dad wants more access to and visitation with his child, for example, a judge can require he attend a fatherhood program first. But, if you don’t have that relationship with your local court in place, how can you develop one? Here are a few strategies that can motivate judges to refer dads to your program. Have a case manager who already works with judges set up the meeting. Reach out to judges directly and ask if you can have 30 minutes to present your program. Partner with other agencies that already have a relationship with the court (e.g. Department of Human Services and Child Support Enforcement) and ask them to help you schedule a meeting. If in-person meetings aren’t possible, set up video conferences or ask for brief conference calls. Be persistent. 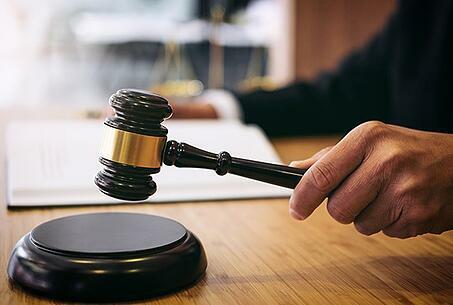 Judges can face an issue in court that will help them see how critical your program is. For example, your program can address root issues that cause a dad to repeatedly return to court for noncompliance, which will reduce the judge’s caseload. Be patient. If you fail to convince a judge, a new judge may eventually get elected or appointed who is more receptive to your program. Research judges’ challenges (e.g. child support noncompliance, drug issues, domestic violence, and apathetic fathers) and connect how referrals will help them effectively address those challenges (e.g. increased child support payments; breaking intergenerational crime and substance abuse; and empowering men to be involved, responsible, and committed dads). Father Facts™, the signature research publication from National Fatherhood Initiative®, can connect the dots for judges so they see how creating better dads can address those challenges. Share the impact of your program. Compile quantitative and qualitative data that highlights the impact. Capture video testimonials from fathers who have completed your program. Use an evidence-based program, such as 24/7 Dad®. More judges and court systems than ever require the use of an evidence-based program by their partner organizations. If your program doesn’t yet have evidence of impact, you can include data and stories of impact from studies of that program as a proxy for your program. Include the information from the previous bullets in a brief presentation (e.g. 15-30 minutes). Use PowerPoint® or a similar tool (e.g. Prezi) to create the presentation. Print out the slides as a handout to leave behind for judges. And have a copy for yourself in case you can’t show the presentation because of a technical glitch or some other reason. Ask judges if they want your program information (e.g. date, location, time, contact person, etc.) formatted a specific way. Some judges prefer bench cards, flyers, or details they can include on their website. Judges can be a wonderful referral source. They have access to many dads. They can provide motivation for dads to complete your program. It’s worth the time and energy to cultivate those relationships to open up a steady referral stream. Once that stream starts to flow, you can provide the support dads need to be great dads and great citizens. Have you had any luck getting judges to refer dads to your program? If not, which of these strategies make the most sense to try?